The Archduke Joseph diamond was sold at auction by Christie's yesterday for a record $21.5 million, a word record price per carat for a colourless diamond. The 76-carat diamond, described as internally flawless, comes from India's fabled Golconda mines, birthplace of the famous Koh I Noor stone that saw so much bloodshed in Asia and finally ended up as the jewel in the British crown. The colourless gem was sold to an anonymous bidder in Geneva and far outstripped the $15m pre-sale estimate. It also registered a tidy profit for the seller, Alfredo J. Molina, chairman of California-based jeweller Black, Starr & Frost, who had bought it for $6.5m in 1993. Unlike the Hope diamond however, there is no sign of a curse on this particular carbon sparkle. Yet! 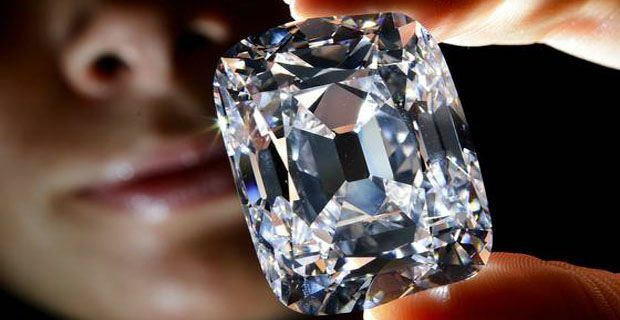 Named after Archduke Joseph August of Austria, the great-grandson of both a Holy Roman emperor and a French king, the diamond was inherited by his son, Archduke Joseph Francis, before passing to an anonymous buyer who kept it in a safe throughout World War II. The precious stone joins a roll call of world beating rocks like the 35.56-carat Wittelsbach-Graff diamond auctioned for £15.3 million in 2008 and the 24 carat pink diamond sold for £29 million in 2010. It wasn’t the only diamond to go under the hammer at yesterday’s sale however, although signs of the global economic malaise did seem to have penetrated even the well heeled, hallowed halls of Christie’s Geneva. Four diamonds failed to sell as bids fell well below the reserve prices.